Remember back in grade school, when you’d use your school supplies to paint your nails? Coloring them in with colored markers or liquid paper felt rebellious and cool—never mind if you had to remove them right away. 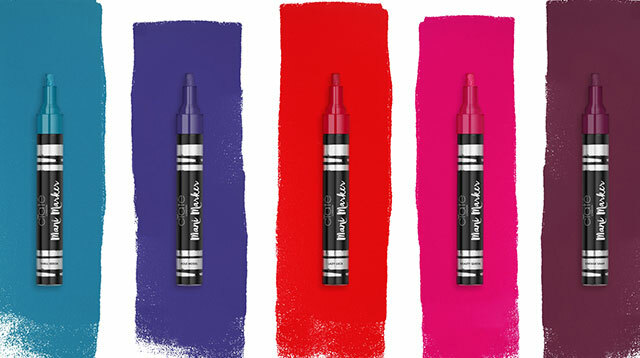 Ciaté London is touching on that part of our childhood with their newest nail polish innovation: Mani Markers. As the name implies, they’re designed to look and work like the colored pens of our youth. They promise to give you a pretty paint job in an instant—on their website, Ciaté says it just takes three minutes! Currently, colors include Lady Luck, a fiery red; Beauty Queen, a bright pink; Vintage Vamp, a rich plum; Role Model, a deep indigo; and Thrill Seeker, a striking teal. They’re also sold out on Ciaté’s website, though they seem to replenish regularly, according to the brand’s Instagram account. Would you consider buying these (when they do go back in stock, that is), or are you going to stick to traditional brush applicators and visits to the neighborhood salon? Let us know!